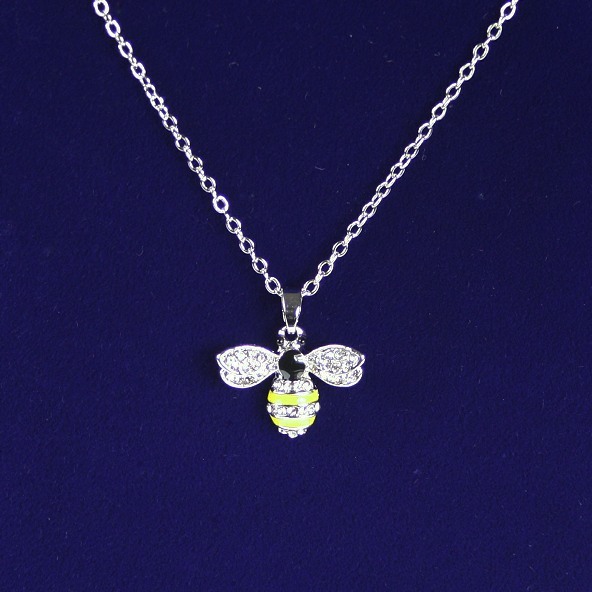 A dainty little bee pendant in yellow and black with pretty little diamanté detail from Indulgence Jewellery. Colourful bee brooch by Indulgence with yellow and black enamel, fine detailed wings, encrusted with small diamanté to complete this exquisite piece of jewellery. Men's Bee Cufflinks. A pair of bee cufflinks with colourful black and yellow bodies and silver coloured fitments. Great gift for bee keepers! Boxed. A pair of cotton handkerchiefs with bee motif design in blue and white, presented in a smart gift box.